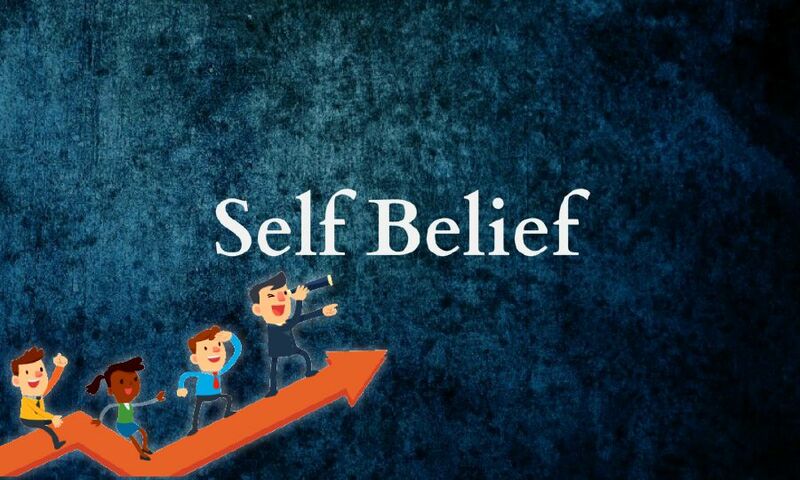 People who lack self-belief have a strong inclination to filter out the positive aspects about themselves. This week I started a new daily radio breakfast segment on Lite Malaysia, called The Right Perspective with Shankar Santhiram. Having spent the last 10 years serving listeners in the Klang Valley, this is now an opportunity for me to present my views to a larger audience on one the top English language radio stations that broadcasts to all corners of the country. I feel very privileged to have been given this amazing avenue. My first focus on my new radio show on Lite Malaysia has been to help listeners understand and connect with the idea that if you want better results in your life, you must accept that no one else can make things better for you. It lies squarely on you, alone. Your actions determine your results. This is the only perspective that ultimately matters for your own personal growth, on all fronts. This mind-set, where you take ownership of your actions is necessary for all parts of your life, from your home relationships to your careers. And the start point is to understand that your actions are founded on your purpose, and belief structure. Your beliefs are hugely influential, and powerful. Their impact is beyond the normal conscious control that your mind gives you. Much of what happens to you is a result of your sub-conscious beliefs. For examples, in my family, we have standing joke. If there’s even a slight hint of getting wet in the rain, my father will catch a cold. He believes this quite vehemently, and like magic, it always happens to him. I have always found this absolutely intriguing when I compare him to people who often get wet in the rain, like footballers who are contracted to play even as it rains, and they do not catch a cold. The power of your sub-conscious beliefs is quite phenomenal. There are multiple scientific studies on the placebo effect that reinforce this. A placebo is a substance containing no medication, given to strengthen a patient's expectation to get well. Their belief that the treatment will work, dramatically affects the way their bodies react to the illness. The placebo effect is not deception. Instead, it is a product of expectation. The human brain anticipates certain outcomes, and because that belief is so strong, the desired outcome is produced. This underlines the fact that ‘belief’ is vital to the human mind. If you belief in something strong enough, it will happen. Therefore, to be successful at anything we do, we must have belief. On my radio shows on Lite Malaysia, I am regularly reminding listeners that of all the ‘beliefs’ we develop, self-belief is critical. People with self-belief have qualities that we admire. They are confident and competent. People with high levels of self-belief also encourage confidence in others. To become successful, we need to inspire and engage people around us. The biggest contributor to self-belief is our confidence in our ability. As we master skills and gain expertise in any given field, we gain in confidence. And, as we sense that we are competent at what we do, our self-belief increases. While positive thinking has a role in the development of our self-belief, setting and achieving goals helps us build confidence and competence. Through my work, I have learnt that the key component to developing self-belief is being confident that the end result you want is possible. You need to be able to say with total conviction “it really is possible for me to achieve this goal”. Having self-belief facilitates finding creative solutions. When you approach a goal at the workplace with disbelief you will feel anxiety and your ability to think gets clouded by this. Naturally, finding solutions becomes less probable when you feel this way. Alternatively, when you approach a goal or a problem at work or even in life with self-belief, you are able to think much more clearly. This clarity stimulates better reasoning, and ignites your memory more effectively. Above all, I personally tend to get a lot more creative when I approach any issue with the belief that I can overcome it. So, consciously work on identifying and acknowledging your results and strengths. I always ask people in my executive leadership coaching programme to list out their accomplishments, and not undersell their successes to themselves. Next, I ask them to stop comparing themselves to others. This is a total waste of time, and completely futile. Because no matter how good you are at something, you can and will always find somebody who is better than you. Do not sabotage your own self-belief. And finally, I ask my coachees to continuously work on self-improvement by concentrating on their efficacy skills. Self-efficacy refers to your belief in your capacity to execute behaviour necessary to produce specific results. Confidence always comes when you are competent. So, work on increasing your competency. As your self-believe increases, your value grows. Work, Matters! : What drives you?